Drawing his inspiration from Prince Far I, Dub poet Linton Kwesi Johnson and from author Claude McKay, Nazamba uses his pen and his inimitable style to immerse ourselves in sound tales. Each of his tracks is a story to live with your eyes closed, bathed in Jamaican dialect and lulled by O.B.F.’s dub riddims. With his deep and haunting voice he whisks us into his daily life in Kingston. 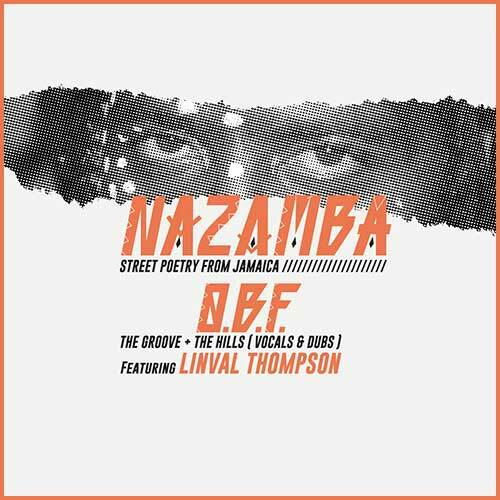 Whether with The Hills, where he recounts his exile in the hills to escape the fury of the city or with The Groove, where he share with us the tight and overheated atmosphere of the Jamaican studios, the collaborations between Nazamba and O.B.F. are an opportunity to tell us about the specificities of this one-of-a-kind city. This first 12″ will be followed by an album to be released later this year.